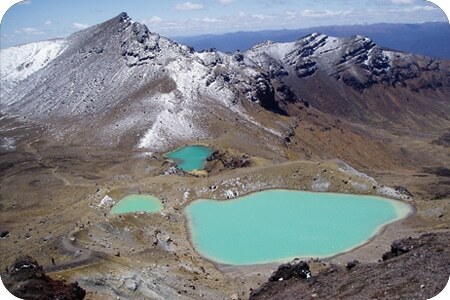 Often described as the greatest day hike in the world, Tongariro has unrivalled scenery. The Emerald Lake shines like a green jewel surrounded by moon-like mountainside, and the view above it is undoubtedly the highlight of an already superlative-laden trek. 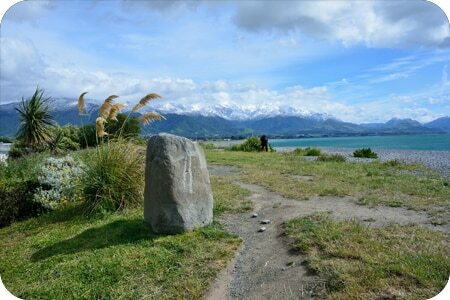 As you walk, you may recognise different landscapes, as seen in the epic Lord of the Rings Trilogy. The hike is not a loop and does require a transfer from the end of the hike to where you parked your campervan in the morning. 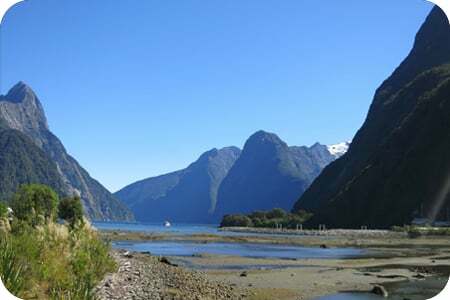 The incredible Fjord-like scenery features on most of Tourism NZ’s material for a very good reason. Even the drive down to the sounds from Te Anau will whet your appetite for the scenery to come. Try to keep your eyes on the road as your campervan is dwarfed by huge moss-covered cliffs walls and verdant forest. For the most unforgettable views, take a boat through the sounds as the steep cliffs tower above you and waterfalls cascade down them. 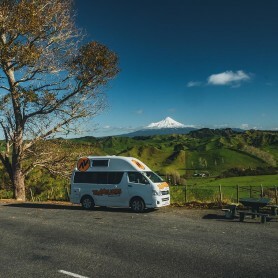 North to South or South to North, your island hopping makes perhaps the most impressive campervan commute. 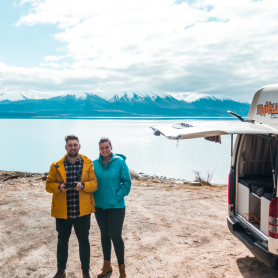 Park your campervan on one of the regular ferries and take a trip up to deck to marvel at the views. With 360-degrees vistas and the odd dolphin to accompany your ferry, small inlets amongst emerald waters and views of NZ’s most picturesque city, Wellington, you’ll wish the journey never ended. Jurassic park wasn’t filmed here, but it’s easy to be convinced otherwise thanks to the rugged rainforest towering over the Tasman Sea. 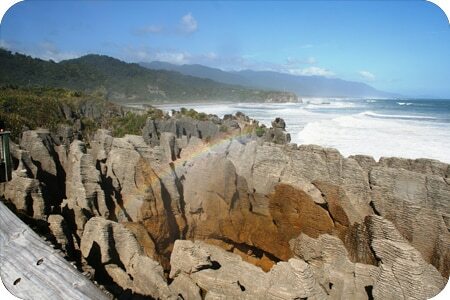 The so-called ‘pancake rocks’ are the highlight of this stretch of coastline, one of the world’s great drives. These remarkably shaped natural constructions are about halfway along the SH6 and encapsulate the rugged otherworldliness of this area. 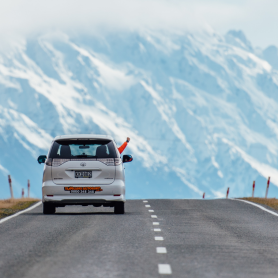 Remember to fill up in Westport or Greymouth, whichever starting point you chose, as you may take longer than you planned in this piece of a paradise. 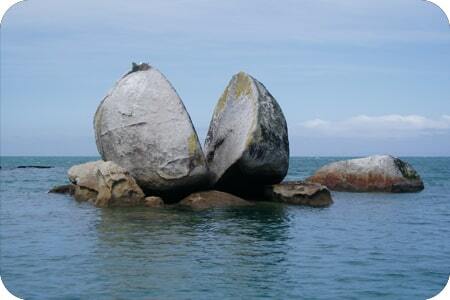 When you think of NZ, you usually think of gorgeous sand beaches and the clearest aquiline water. Here, though, you’ll be forgiven for thinking you’ve arrived at its Antipodean cousin, Australia. Dip you toes in the water and you’ll remember you’re a little way from the tropics. Hike along the coast – keeping your eyes peeled for stingrays and orcas – or for even better views, take a kayak out to the islands and bays that dot this national park. 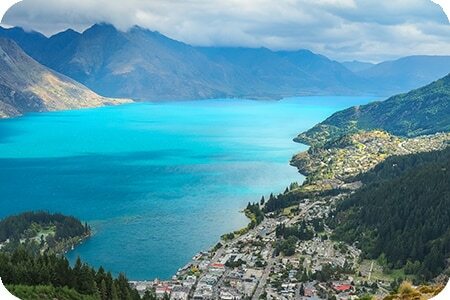 Queenstown offers the hedonistic combination of adventure by day and night. 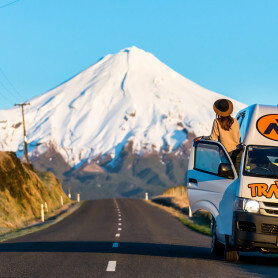 Despite its size, it can feel like NZ’s busiest town and can be either a welcome relief or a shock to the usual solitude that’s found in the country. The views from the town of Queenstown Hill are for everyone. Follow the sheep and in no time the town becomes a dot amongst the majesty of the peaks above, Lake Wakatipu below and the aptly named Remarkables to complete a postcard-perfect sight. Unimaginable serenity, views back towards NZ’s biggest metropolis and just a 20-minute hop on a ferry. 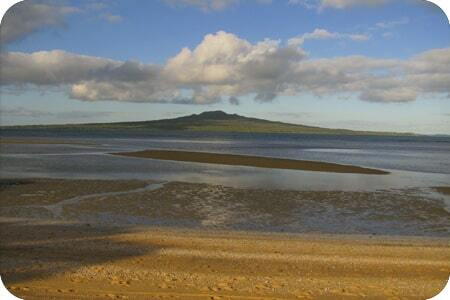 Hike around on weekdays and you’ll be surprised if you see another soul on Rangitito Island. 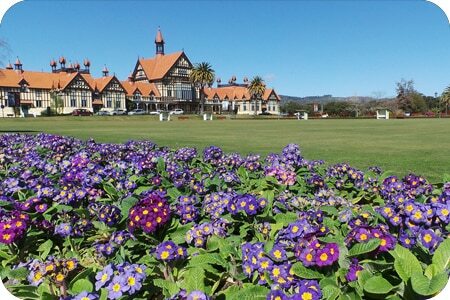 A bucolic and pretty place in itself, but the real highlight are the vistas back across the water towards Auckland’s main sights and the other islands in the Hauraki Gulf. The rugged beaches and farmland fill the length of the Catlins, giving this area in the far south of the South Island a feeling of charming remoteness. Around Curio Bay, native marine life, like the Yellow-Eyed penguins outnumber visitors, Dusky dolphins lark in the waters and the only traffic jams are herds of sheep. 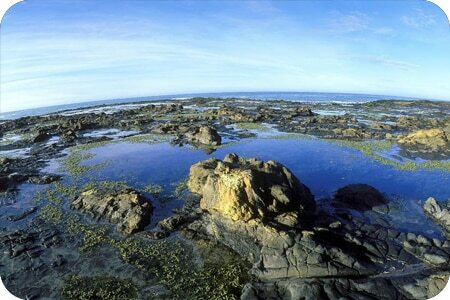 A drive in a campervan through the Catlins offers the rural solitude that many visitors to NZ crave. 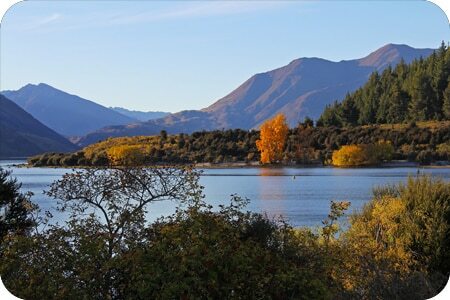 The area around Lake Wanaka is some of the most awe-inspiring in NZ. The views from the top of Mount Roy showcase the best of the area. 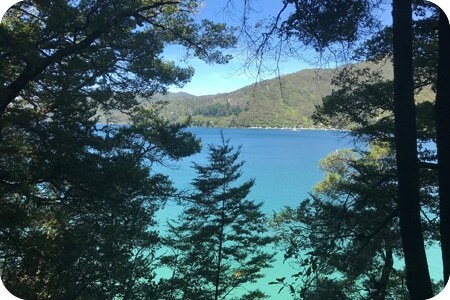 On a clear day, you’ll be richly rewarded for your 5 to 6-hour return hike: panoramic views stretch over the baby-blue Lake Wanaka and down the Matukituki Valley with Mt Aspiring in the distance. Dusky dolphins can be seen somersaulting from Kaikoura’s roads. But to get up close and personal with these creatures, take a boat tour from the town’s harbour. You’re guaranteed to see hundreds from atop the vessel, yet as if this isn’t enough, you’ll be invited to don a mask and snorkel and jump into the water with them. Whales and New Zealand fur seals are also spotted from time to time basking in Kaikoura’s marine-life-rich waters. It’s a city that smokes and bubbles 24 hours a day, 365 days a year. The steam coming from its parks reveal its volcanic underbelly and gives it its distinctive sulfurous smell. But the best views lie in the Wai-O-Tapu Thermal Wonderland, where you can spot pools coloured in unbelievably yellow and orange hues that are usually only found in soft-drink bottles. This peninsula is packed with mind-blowing vistas; the winding roads offer a range of wonderful viewpoints to stop off at and enjoy. Nearby Hot Water beach is a much-loved stop-off: kids and even bigger kids will especially appreciate digging a hole in the sand until they’ve made their own beach bath. 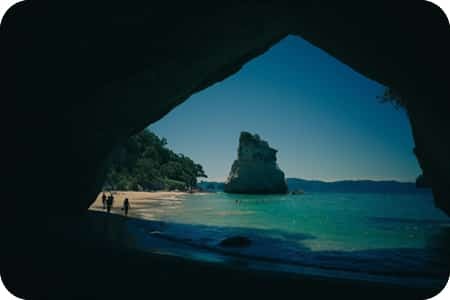 Travel a little further and you’ll also be rewarded with the iconic views of Cathedral Beach.